I’m stuck between a rock and a very hard place. Writing this letter means exposing parts of my life that are very sensitive, private, and triggering to talk about. On the other hand, speaking up may help alleviate another person’s pain. After careful consideration, I decided that I will share my story, but in order to maintain my dignity and privacy, I will keep several details vague. Like most other kallahs, I had very rosy dreams about my future. I was marrying my prince charming and we were going to live happily ever after. Little did I know what was in store for us. Even before the wedding, I had a sense that something wasn’t right, but I dismissed my concerns, attributing them to typical kallah fears. After our wedding, my life turned into a living nightmare. 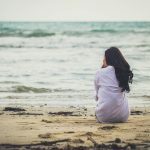 Although I didn’t know it at the time, I was suffering from a complicated gynecological condition that affected my daily functioning, both on a physical and emotional level. Simple things that we all take for granted, such as sitting, would cause me an inordinate amount of pain. I reassured myself that it was all normal, that it takes a while for a person’s body to adjust to marriage and that eventually, it would all go away. But it wasn’t going away. The symptoms were actually getting worse by the day. After a few months of incredible suffering, I realized that my symptoms couldn’t possibly be normal and I reached out to my kallah teacher. She dismissed my concerns and told me to wait it out, so I waited some more. Eventually, I realized that waiting wasn’t going to be the answer to my problems so I turned to another kallah teacher, who sent me to a bodekes. The bodekes informed me that she suspects I have Condition X and gave me the contact information of a doctor who would be able to help me with a certain procedure. It sounded simple enough. I went to the doctor who performed the procedure and naively thought that my problems were over. I won’t bore you with the gory details; suffice it to say that the procedure was just the beginning of five years of utter chaos. I ran around in dizzying circles for months, trying everything available in conventional and alternative medicine. My life became an upside-down emotional rollercoaster. One minute my hopes were up, the next they came crashing down. The treatments that I tried weren’t just emotionally draining; they were often very painful and robbed me of my basic human dignity. One of the hardest parts of was the sense of complete isolation. In general, gynecological issues are sensitive and private, but my condition takes the cake. It’s not something that’s obvious and it’s very hard to get real support for it. Additionally, it’s very often misconstrued as a psychological issue. I cannot tell you how many times I was badly hurt by people whom I turned to for help; telling me that I’m making things up and that I should go for therapy. Eventually, I started to believe that it was all in my head. I stopped trying to get medical help and tried to think positively. By the time I started to realize that I actually wasn’t crazy, I was burnt out. I wasn’t interested in getting my hopes up or being told that I’m crazy again. I had enough. I tried to make peace with the fact that I would have to live with my symptoms forever. Thank G-d, someone recommended that I call Tahareinu. To say I was skeptical would be a gross understatement. I thought I knew exactly what they were going to say, and I knew that they were going to make me feel like I’m not worth two cents… Boy, was I wrong! Nothing could have been further from the truth. Finally, after five years of searching, I have found a place where I can be helped and understood. Tahareinu has been a lifeline for me. I could go around singing their praises for days on end, but I will never have adequate words to express my appreciation of them. It’s not just their professionalism and their breadth of knowledge; it’s also the compassion that they treat you with. I cannot tell you how many times I’ve called them and said, ‘Hold the phone far from your ears because I need to scream!’ I know that there are many other couples who are drowning in pain. Tahareinu wants to help, but without finances they are limited in what they can do. You can change that. Please help them make our needs come true.